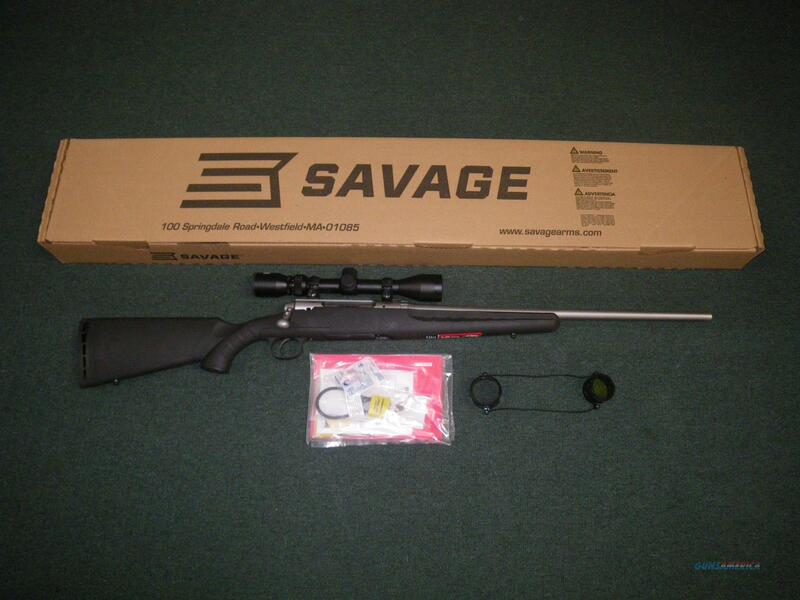 You are bidding on a new Savage Axis XP Stainless in 7mm-08 Remington with a 22" barrel. This rifle comes already set up with a Bushnell 3-9x40 scope. A durable synthetic stock and stainless finish will provide years of reliable service. This rifle includes a detachable box magazine. Displayed images are stock photos. Any questions please feel free to ask (our phone number is in the additional information tab above).